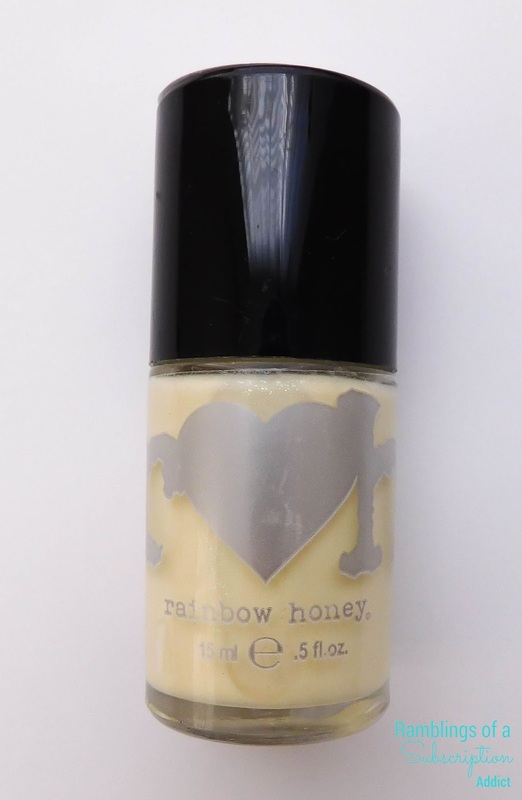 What is Rainbow Honey? : Rainbow Honey is a monthly nail polish subscription box where you get not only nail polishes, but you get random beauty things (soaps, scrubs, oils, etc) as well! There's a mini version and a full-size version, so you can choose how much you want. 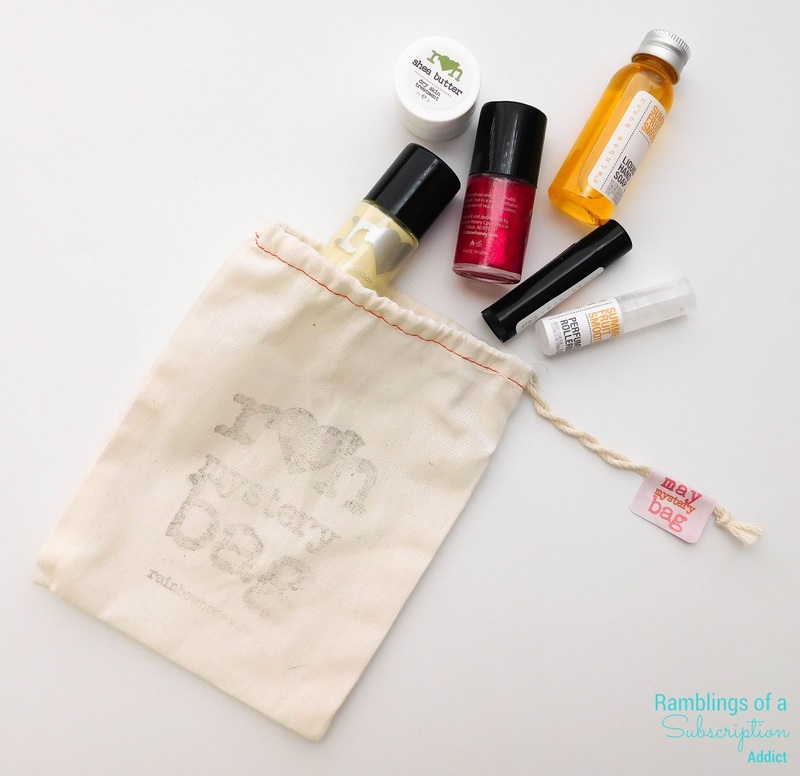 The bags are the same, but the mini bag has mini polishes while the full-size one has full sized polishes. There's also bigger extras in the full-size bag and sometimes there's an extra. How Much is Rainbow Honey? 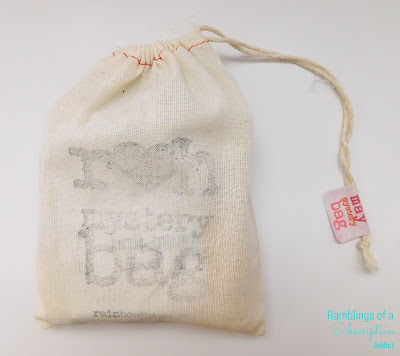 : Rainbow Honey is $11/month for the mini bag and $22/month for the full size. You also don't have to pay for shipping for the full-size bag. I know, I'm behind. I promise I'm catching up as fast as I can! Lemon Sparkler (Creme) - Part of our upcoming collection of sparklers, meet our new favorite, sun-washed lemon lacquer packed with a sparkling and subtle iridescent shimmer. With 'sparkler' in the name, I was hoping there would be more sparkle! There is the slightest bit that can be seen at the right angle, but I wasn't able to pick it up in my swatches. I didn't think I would like this polish at all, it's yellow after all, but I actually like how this looks on me. It's more Spring-y than Summer, but it's so pretty that it will work for any season! Lemon Sparkler applied nicely, but it is a very thin polish This manicure required three coats to become opaque, so be prepared to do that when you use this polish. It's lovely once applied and worth the effort. One coat of glossy top coat was added for shine. Ruby Sparkler (Shimmer) - Reminiscent of ruby red slippers, this true ruby beauty is gleaming with glittering sparkles sure to look great for any party! Be on the lookout for a collection of Sparklers, coming soon! I never thought I would be as excited as I was for a red when I saw this. It's gorgeous, lovely, wonderful, magnificent, and any other word you could think of to describe this. 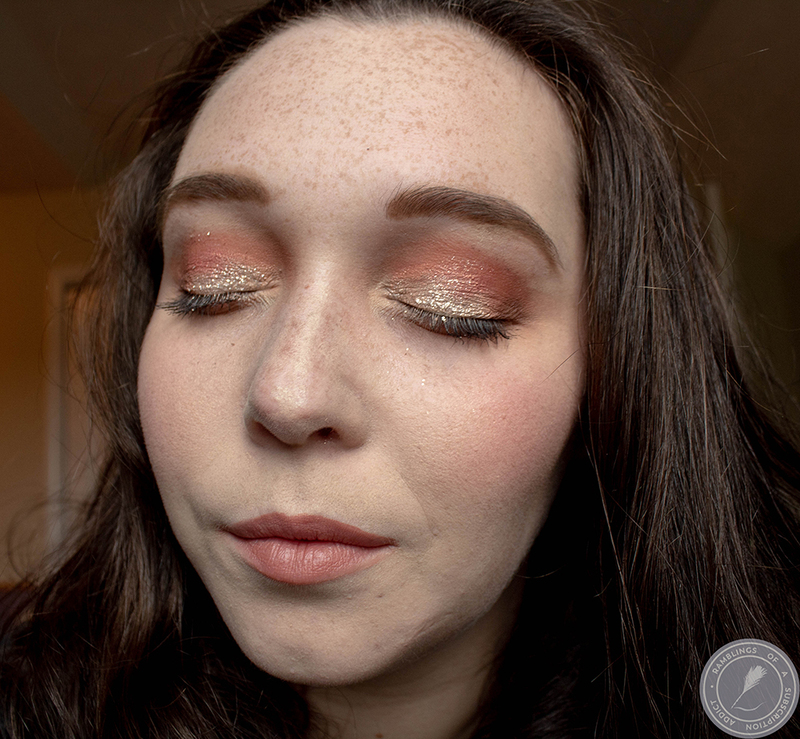 This red base with tons of red and gold shimmer to wow and shock you! 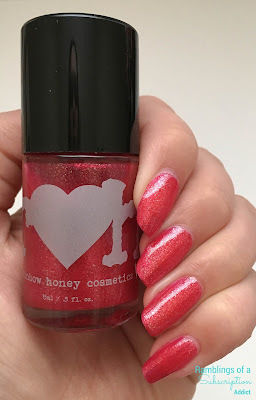 Ruby Sparkler is a gorgeous two-coat polish and applies so nicely. It is self-smoothing and is mesmerizing when you are both inside and outside. I did apply a glossy top coat to this just to add the shine that I wanted for this polish! Liquid Hand Soap (Summer Fruit Smoothie) - Formulated to product foamy and clean moisturizing bubbles, our liquid hand soap features our new summer favorite, Summer Fruit Smoothie, a super fresh blend of melons, sugarcane and coconut. This smells so(oooooo) amazing, I need a much bigger bottle to fill up my hand soap bottles around the house. I just love how Summery and fresh this smells, it's worth the $7 for the full-size bottle. 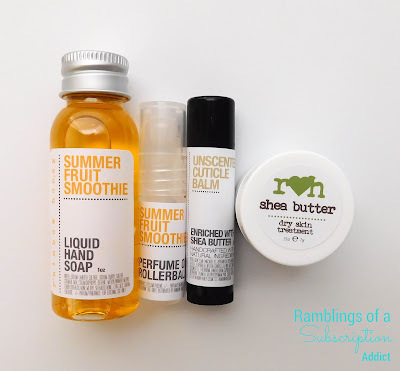 Perfume Rollerball (Summer Fruit Smoothie) - Our silky soft perfume oil rollerball features Summer Fruit Smoothie, a super fresh blend of melons, sugarcane and coconut sure to inspire an island getaway! Again, I love this scent. It's perfect for Summer and adds a bit of sweetness without being too overbearing. This is an oil rollerball, so keep it away from your clothes! Cuticle Balm (Unscented) - Keep your cuticles healthy and your manicures gorgeous with our award winning cuticle balm, now enriched with our new secret weapon, Organic Shea Butter! 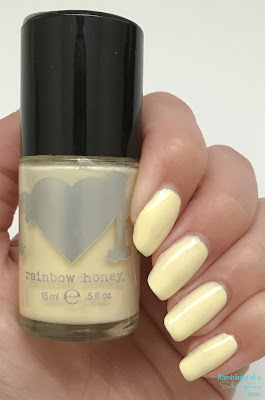 I really love Cuticle Balms, and Rainbow Honey's are wonderful. 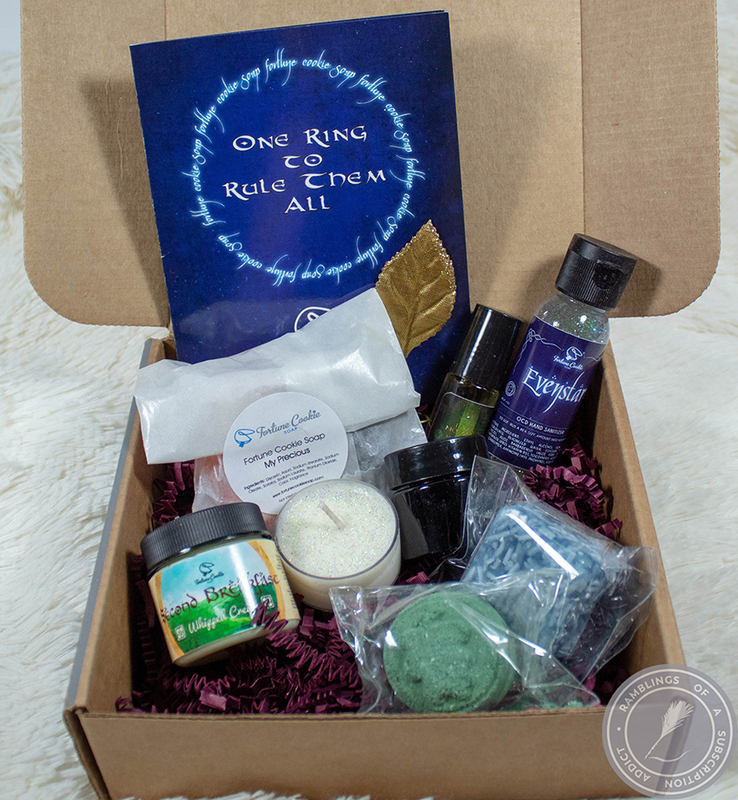 I like that they make it in unscented, for those that can't handle strong or new scents! Organic Shea Butter Treatment - An ultra-hydrating Skin Care treatment to combat dry skin! Use on lips, hands, elbows, knees, feet or any dry spot! 100% organic shea butter! Experience the benefits of organic shea butter as a nourishing and ultimate skin moisturizer with incredible benefits! This is a reformulation of their old Shea Butter, which I loved so much before. This is perfect for anytime your skin gets dry and leaves it very moisturized without feeling too oil! Overall, I absolutely loved this month's bag from Rainbow Honey! Usually, I'm either just really loving the nail polishes or just really loving the products, but to love the entire bag is just great! 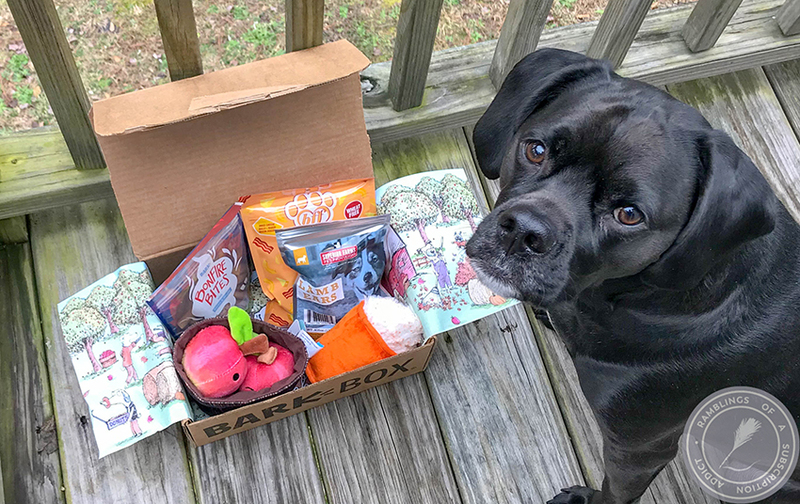 Prices have been lowered for all of their subscriptions and you now get reward points for them, so now is the time to subscribe!